Reducing health care costs can only happen if there are reduced events requiring intervention and care. Reducing health events requires empowering employees and members in their own health, safety and wellness. 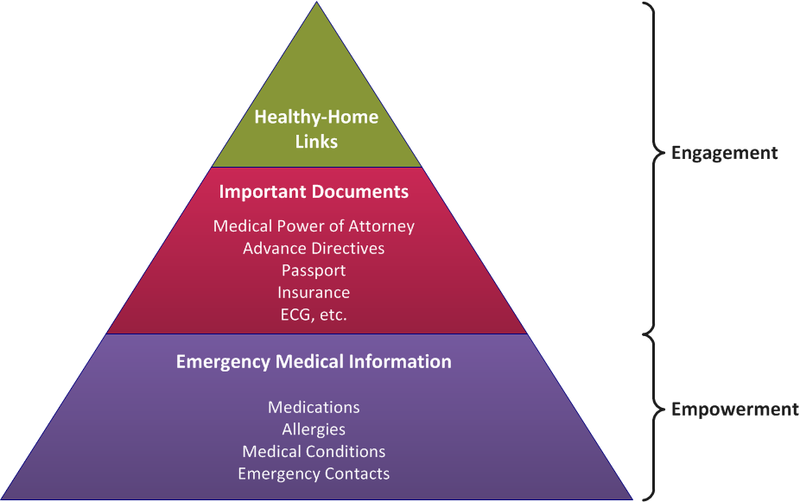 The tool to accomplish this is the electronic personal health record for individuals and families (ePHR). Although 100% adoption would be great, the reality is that adoption will be incremental. Therefore proactive distribution to 100% of members is critical to success. This requires that the ePHR cost for distributionmust be zero or near zero. Expanding adoption and use requires a KIS approach. The ePHR must be simple to use and relevant to everyday life. Simplicity of use combined with printing, portability and emergency-care capabilities makes the EMS-Alert™ ePHR a part of everyday life. Advanced features allow the user to personalize many functions increasing personal relevance and use. Family wide functionality greatly increase value to members. Privacy is 100% in the hands of the user.